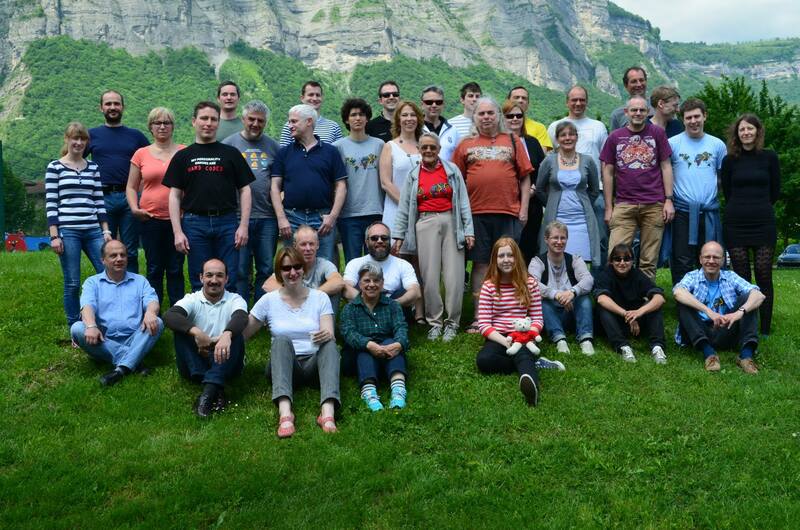 On a perfect spring weekend, 34 of the world's best Tantrix players assembled in the heart of the French Alps, for what turned out to be one of the most fiercely contested tournaments ever. The players came from all over the world - 11 countries in total - arriving in Crolles, a charming village in the Grenoble valley. The "Elders Club", those who have competed in every single World Open, was further reduced with 3 players dropping off. There now remain just 6 players who have attended all six WTO's (Niklas, Benopi, Pellepen, Leslie, Mikem and Kcina). The tournament was organised by Laurence and Francois Pacull and doubled as the 8th French Table Open. It was the first ever WTO without a Hungarian on the podium! On the first day of the tournament, a heavy schedule of 9 matches each left most players mentally exhausted. Saturday night dinner was at a nearby restaurant, just opposite the world headquarters of outdoor gear manufacturer Petzl. Sunday saw 7 more matches each, and an incredible battle for the podium unfolded. Read all about it from the champion below. Thanks to the organisers for a superb event! From the mountains, to the beach. In breaking news, the 2016 WTO has just been confirmed for the end of May, early June 2016 in Badalona, Catalunya, Spain. Stay tuned. Bringing new meaning to the term "disposable tiles" Iris Gil (xylotuba) wowed the spectators and players alike with an exhibition of Tantrix baking. Everyone had their own tile, but delicious as they looked, players were reluctant to dig in, in case the tile was critical for a later game. What else happened in Crolles? Trouble showed up like every year and was a brave spectator at a couple of challenge games in his honour. We all had to make educated guesses about France, and judge the length of an imaginary border made from Tantrix pieces. Needless to say, we had no idea and guesses were wild. 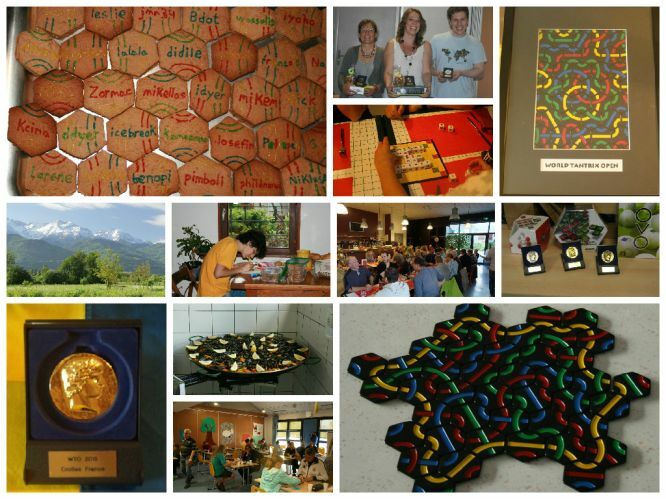 The schedule was jam-packed with playing game x, to be followed by game y, not to mention playing Tantrix, eating good food and catching up with people we had not seen for a year, leaving no time for a re-run of the Tantrix Puzzle Open. It's promised for next year, so keep up your training. In true French connection style, there was red wine to be had for breakfast (well, almost) and cheese for dessert. Last but not least, we're all relieved to hear that Grandpere is making a good recovery and currently planning a trip to Spitzbergen - bon voyage!